The United Kingdom’s Food Standard Agency revealed that a training facility kitchen belonging to Premier League club Crystal Palace received a food hygiene rating of 0 out of a possible five. The agency’s website notes that the score means that “urgent improvement is required” in areas like food handling, cleanliness of facilities and management of food safety. The training facility, located in Beckenham, is primarily used by club players and staff meaning that the food served in a location meant to maintain the fitness and wellbeing of top-tier athletes was serving food in an environment that an independent government agency deemed unacceptable. Part of the reason for the lowest possible rating was because inspectors discovered “significant mouse problem” that had apparently been “ongoing for several months,” according to a report obtained by Kent Live. The kitchen had to be closed for a few days as staff were ordered to bring in clean up the mouse droppings, and call in pest control. The report itself read with a beautiful combination of anger and disappointment. “You have been given a food hygiene rating of 0. This is because the conditions found at the time of inspection were unacceptable. “Personally, I am disappointed as you have failed to ensure the safety of the food you are producing and feeding your staff. It is clear that you haven’t managed the problem effectively and the activity has been ongoing for several months. 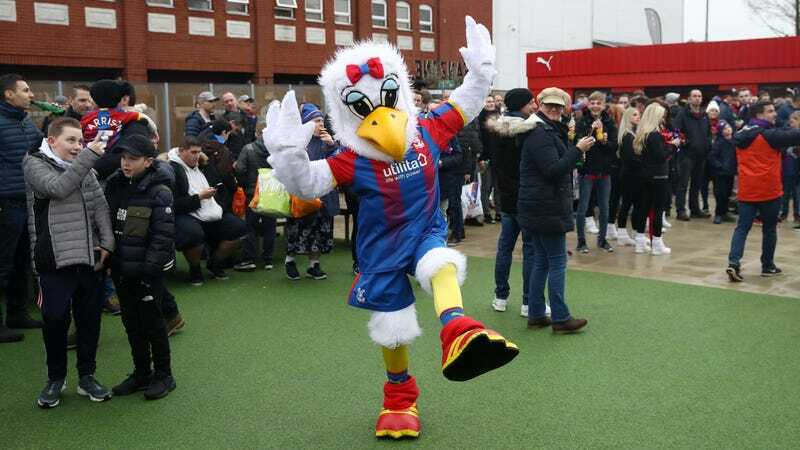 A spokesman from the club told Kent Live that the issue had been taken care of, but given that Crystal Palace are just three points from relegation, and just suffered a 3-1 defeat away at Brighton on Tuesday, the effects of a rodent-infested kitchen might still be affecting the players.